Regardless if you’re a leader or back-of-packer, Deena Kastor’s story in 'Let Your Mind Run' will resonate with you. One of the great perks of my job is being able to interview famous and inspiring athletes. The weekend of the Bank of America Chicago Marathon, I was given the opportunity to talk with Deena Kastor, who won the 2005 event and holds the Women’s Masters record. As we discussed the upcoming event where she would be cheering and handing out medals, the topic of her new book, “Let Your Mind Run,” came up. Kastor happened to have a copy on hand, and signed it for me. With just two days until my very first marathon, I took it back to my hotel and read most of it before the race. Honestly, I don’t read many memoirs, but this one captivated me from the beginning. “Let Your Mind Run” recounts all of Kastor’s experiences in running, but goes deeper into sharing her thoughts and feelings throughout each process. “I felt very reluctant to writing a memoir, because I felt like who cares? But, as soon as my publishing company talked about it in the form of an instructional memoir, it resonated with me more,” Kastor told me. 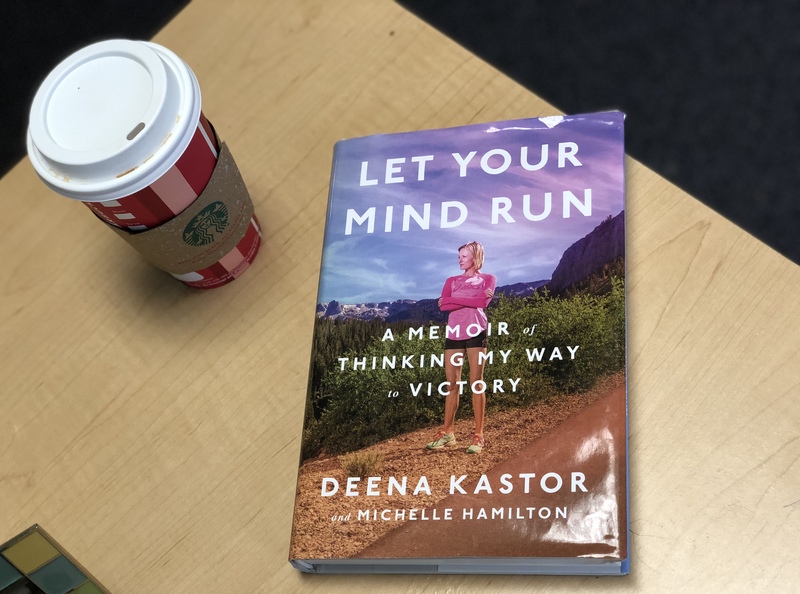 Kastor starts the book by sharing her beginning relationship with running, and tells various stories from middle school, high school and college cross country meets. This made me very nostalgic, because I, like so many others, discovered running through cross country. While a lot of her stories ended with her breaking the tape, the mindset and physical feelings she described before that were extremely relatable. Kastor then talks about her professional training in Alamosa, Colorado. She trained with a team of all men, and instead of using this as an excuse to slack off, saw it as an opportunity to push herself even more. This was the theme of the rest of the book; Kastor talks about how important a positive attitude and mindset is, and then backs it up with examples of how it works. There are so many aspects of Kastor’s story that are relevant to any runner: her deep appreciation and admiration of her coach; her self-doubt and overcoming that; balancing work, training and free-time – regardless if you’re a leader or back-of-packer, Kastor’s story will inspire you. As cheesy as it sounds, there were a few times during the marathon that I found myself having negative thoughts in my head, but I would catch myself and think “how would Deena turn this around?” I would then try and find the positive to keep myself motivated, and it honestly worked! 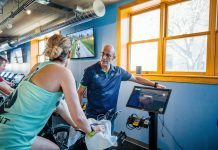 Now, as my season has ended and I struggle each day to find motivation to get outside and run in the dark, cold and wet weather, I try and utilize Deena’s mindset, and prioritizing how great I’ll feel after, rather than how hard it might be during. “Let Your Mind Run” is available for $27.00 at all bookstores and online.